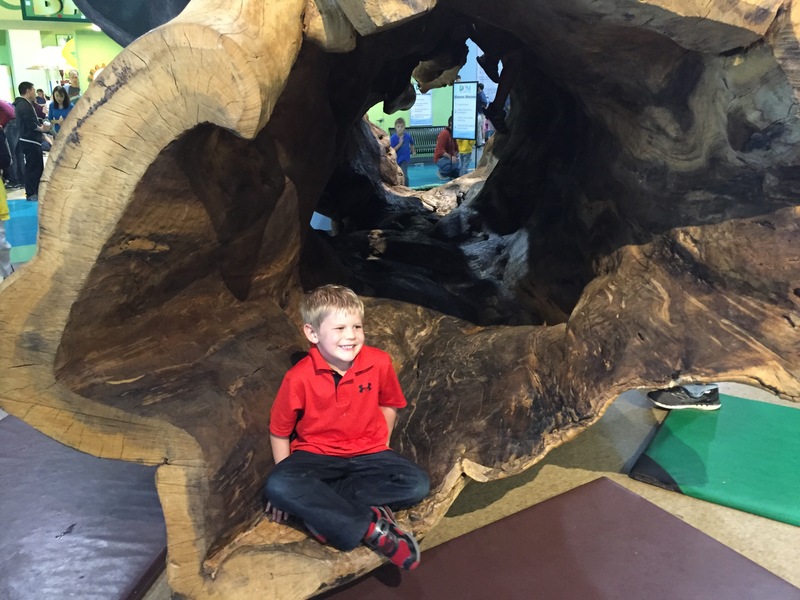 Nature based indoor activities are few and far between in our area, with the only options being the two aquariums and the Delaware Museum of Natural History. So what’s a family to do on a rainy day?? Head to Delaware Children’s Museum! A focus on S.T.E.M. 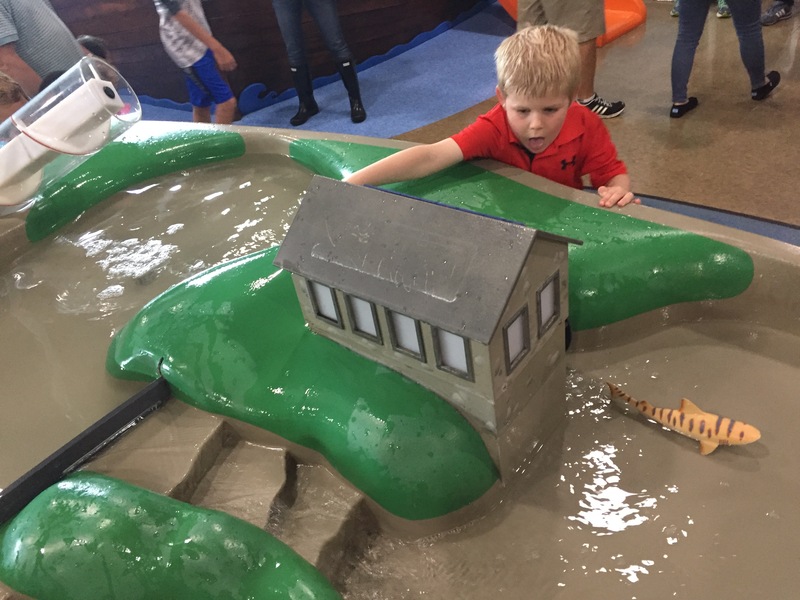 (Science, Technology, Engineering, Math) has always been an important part of the museum’s mission but recently they have really expanded their educational exhibits to include even MORE nature based fun! In 2016, the “Tree Pavillion” was introduced and while it hard to pick just one exhibit as a favorite, I think this might be mine. A 350 year old fallen sycamore from nearby Alapocas Woods, has been transformed in to a perfectly preserved, crawl-through tree tunnel. Behind the tree is a nature play area complete with binoculars, explorer vests, lanterns and more! If my kids had to pick their favorite exhibit, it would have to be a toss up between the water play and the “Stratosphere” climbing structure. I strongly advise bringing an extra shirt for your child when you come to the museum because we all know how messy things can get when it comes to kids and water. The museum has recently replaced their aprons so they do offer more coverage but good luck getting your kid to wear one. D could spend his entire visit playing in this area, opening and closing the water locks and pumping water up in to tubes. I’ve never seen him concentrate so hard before! The stream table is actually a really good example of how water moves in nature, from high to low. The Stratosphere has to be THE coolest climbing structure I’ve seen at a children’s museum (and we’ve been to A LOT of them), but it is probably better suited for 3+ as the openings inside are very small so If your toddler got scared or stuck, it would be extremely difficult( and embarrassing) to have to climb in there and retrieve them. The structure is a floor to ceiling maze of wavy layers to get you all the way to the top. Of course we can’t forget the long awaited touch tank located in the EcoConnect area as well. I remember hearing that this was in the works for quite awhile before it opened and it is the perfect addition to the museum. 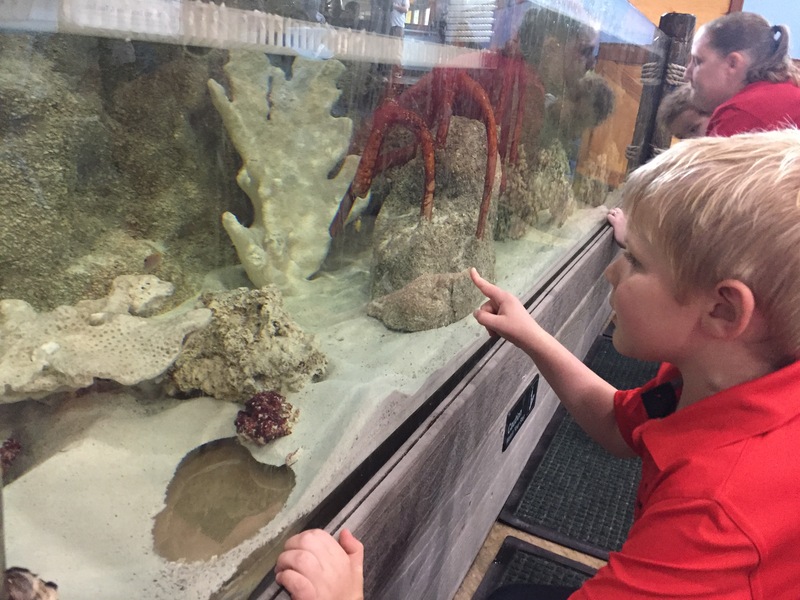 Unfortunately, it’s rather deep to be an actual touch tank so sometimes they will select creatures to place in viewing boxes near the surface. It’s more of just an aquarium than a touch tank but is still an awesome feature to have at a children’s museum. What kid doesn’t love an aquarium?? All of this and more in a super family friendly children’s museum located on the riverfront in Wilmington means that you have tons of dining options after your kids have worked up an appetite. If you have some extra time, the DuPont Environmental Education Center is right around the corner so you can make it a double adventure day if it’s nice out!